For many travelers, exploring the four corners of a hot desert sounds as enticing as the inevitable vacuuming that must occur afterward to rid the car and kids of all the sand. These travelers are, of course, all wrong. Well, maybe not the vacuuming part, but certainly the excitement part, especially if they visit the Mojave National Preserve in California. 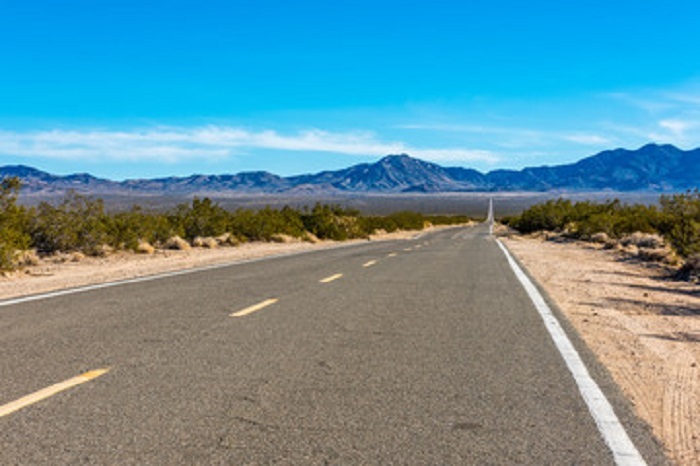 From the outside looking in, the Mojave National Preserve may look like a whole lot of nothing. Rest assured there are amazing things to see all across the park, including beautiful canyons, towering sand dunes, hidden caverns, and a Joshua tree forest. There is also the desert, of course, and for those who have never visited a true desert, it is a remarkable sight. To get your bearings, visit the preserve’s visitor center, located in the Kelso Depot. There you can pick up maps, gather information, and plot your day. Before you go, though, take a moment to appreciate the building around you. The Kelso Depot, more than 150 years old, was built in 1862 by the Union Pacific railroad. The company was extending its rail line into California out of Portland, Oregon, and needed to traverse the Mojave Desert in order to do so. The Kelso Depot, even though it was located in the blazing heat of a sandy desert, became a key spot for the railway line. The depot is only one thing you should see while visiting the Mojave National Preserve. Here are six more. Referred to as the Mojave Cross by preserve regulars, the Mojave Memorial Cross, or White Cross World War I Memorial, as it is officially known, sits just outside the park on Sunrise Rock. It is a must-see destination for all visitors. The cross was erected in 1934 as a tribute to veterans of WWI, and volunteers have maintained the site ever since. The plain white cross originally sat within the preserve. 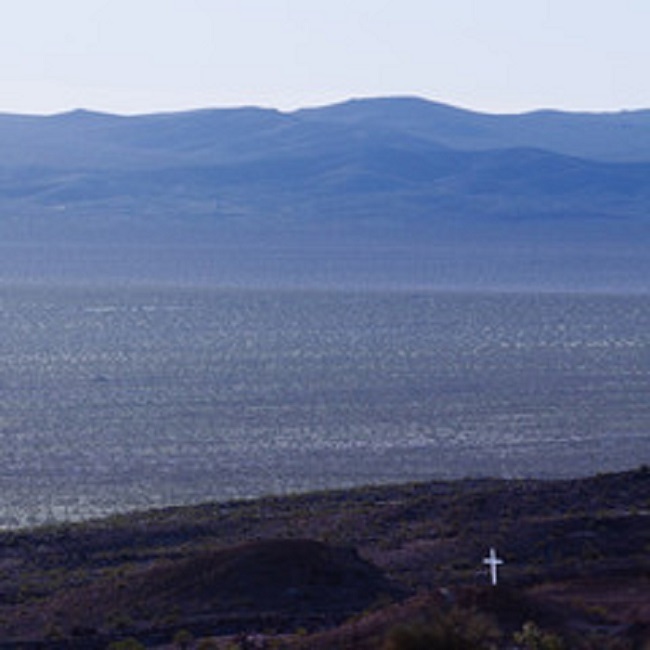 Because the Mojave National Preserve is public land and the cross is a religious symbol, the legality of the cross with respect to separation of church and state came under fire in the 2000s. After Congress transferred Sunrise Rock and the surrounding area to the veterans group maintaining the cross, it was determined there was no church and state violation. Someone stole the cross in 2010 and replaced it with a replica. Volunteers removed the replica, and nothing stood in its place until 2012. Then, the original cross was found more than 500 miles away. Volunteers rededicated the cross and restored it to its original spot. You may be thinking, “How could a record-breaking forest be out in the middle of the desert?” Nevertheless, there it is. The record-breaking woodland is actually the densest Joshua Tree forest in the world. 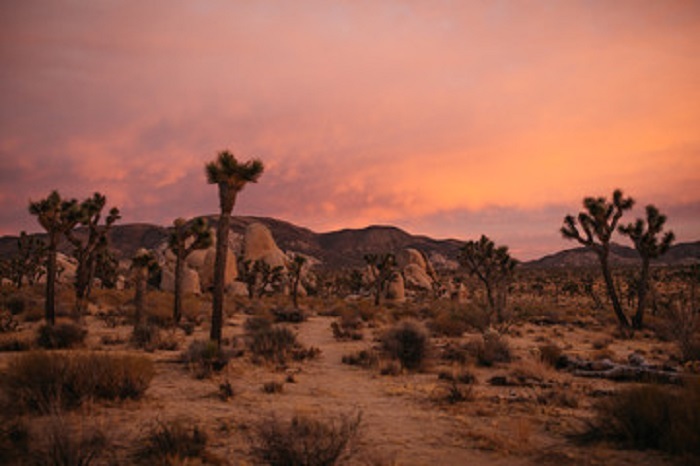 Many travelers assume the largest concentration of Joshua Trees would be in the Joshua Tree National Forest, but the Mojave Desert Preserve holds that record. The yucca plant was made popular in the 1980s when rock band U2 named an album “Joshua Tree.” It is native to the southwestern United States, and you will find most of the unique plants in the Mojave Desert. The tree grows fast, an average of 3 inches per year in the first decade of its life. If you cut down a Joshua Tree, you will not find growth rings, but a dense concentration of interlocking fibers. Most of these desert thriving trees live for hundreds of years. 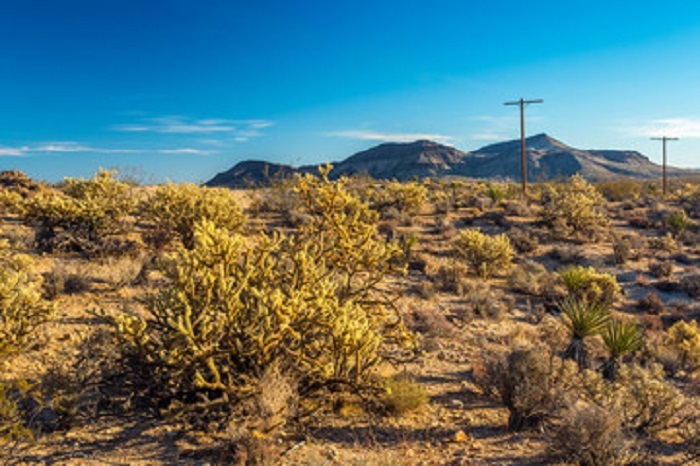 The forest is located in the Cima area of the Mojave National Park. Get there via Kelso Cima Road, one of the preserve’s main throughways. Like many visitors, you are sure to be mesmerized by the sheer size of the forest. Near the Joshua tree forest is the Cima Dome. An erosional remnant of granite igneous rock, it is a natural feature of the land. It likely developed more than 80 million years ago and now looks like a sloping dome nearly 5,000 feet high. It covers 70 square miles and is one of the most visible granite domes in the world, most likely because of its location in the desert. Find the best views of the dome along the Teutonia Peak trail. Nearby, you can also explore the Cima Volcanic Field and Volcanic Range. There, see more than 40 volcanic cinder cone vents and basaltic lava flows. They cover more than 58 square miles. Some of these cinder cone vents are ancient, dating back to the Pleistocene area. That’s back when Wooly Mammoths still roamed the Earth. The Mojave National Preserve is filled with great hiking trails, each providing spectacular views of the reserve and presenting its own set of unique challenges. One of the more educational hikes is the Rock Springs Trail; the short, 1-mile hike takes travelers on a journey through the history of the preserve. An old stone house marks the beginning of the trail. The house, built in the 1920s, was the home of a WWI veteran. Most thought the young veteran, his lungs damaged by poison gas inhaled during the war, would die at an early age. Instead, he lived in the home for more than 30 years. Down the trail, hikers will encounter old mining claims and a plaque dedicated to the men and women who served at a U.S. military base that once stood in that spot. Find Rock Springs Trail about 11 miles down Cedar Canyon Road, which runs through the center of the preserve. The other must-hike trail is Teutonia Peak. It is a 4-mile trek into the heart of the Mojave Desert Preserve. 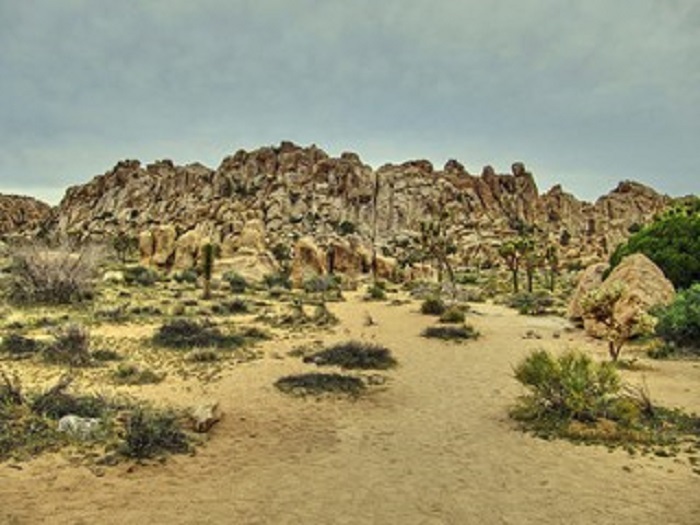 Step off and enter the densest Joshua tree forest in the world. The trail winds its way through this forest for about a mile or more. Even visitors to the Joshua Tree National Park are surprised by the sheer number of the amazing trees growing in this area. Here, too, you will find yourself near Cima Dome and the abandoned mines located near that ancient natural formation. Keep a sharp eye to find the mines because they can be a bit tricky to locate. Covered by rusting grates, you might spot them from higher on the trail. Finally, get a great workout hiking across the Kelso Dunes. Also known as the Kelso Dune Field, it is the largest single area of moving sand deposits, called eolian accumulations, in the Mojave Desert. The field covers more than 45 square miles, so there is a lot to explore. Test your endurance hiking vegetation-stabilized dunes, migrating crested dunes, sand blooming sheets, and dry sand ramps. But be careful because some dunes are taller than 650 feet. Located at the end of a rough and rocky road is a geological treasure. 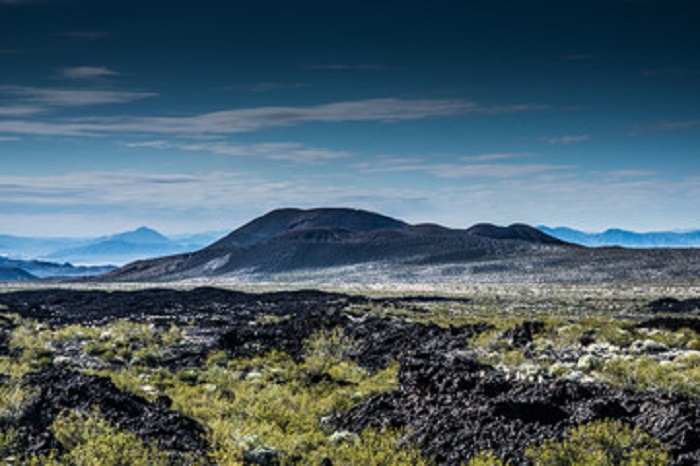 Mojave National Preserve is home to its own lava cave or lava tube. These caves, abundant in California, were created by lava flows 30,000 to 40,000 years ago. As the lava flowed, the top would cool, insulating the flow underneath it and eventually creating these natural wonders. The lava tube at Mojave National Preserve measures about 500 feet long. You can easily explore the tube, but remember that it gets as narrow as three feet in diameter in some areas. It can be uncomfortable for those who have trouble crouching through small spaces. As you venture through the cave, you will come to a series of ventricles in the tube ceiling. When the sun is in the right position, it shines brightly through these hollows, bathing the tube in brilliant light. The phenomenon was tailor-made for amazing photos. If it seems like there is a lot to see and do in a day in the Mojave National Preserve, you are right. Best to make it an even greater adventure by packing your camping gear and finding the right spot to pitch a tent for the night. Don’t forget when packing that the nights in the desert can be much colder than you expect. A warm sleeping bag and even a sweatshirt or long pants may be called for. Check local weather forecasts to be sure. 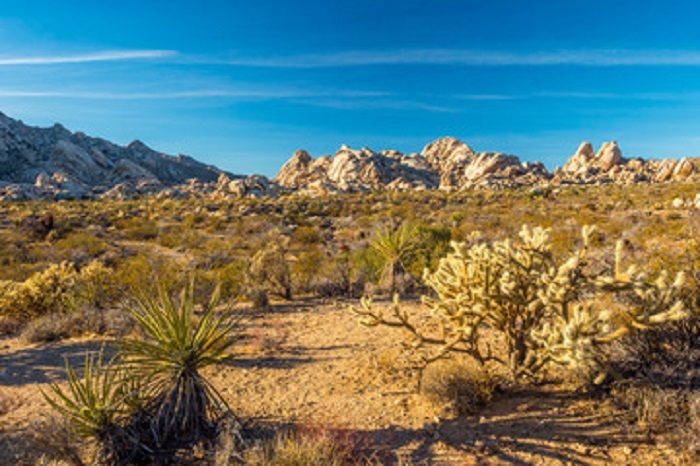 The Mojave National Preserve offers a couple of camping options. The first is the Hole in the Wall campground, located near the Rings trail. Not much more than a low-range a night, the campground operates on a first-come, first served basis. It also features running water for those who want to shower off the desert sand. You can also opt to camp at some off-the-beaten-path locations. Many of these are near the tourist sites mentioned above. Search for areas within the preserve that have a fire pit. There you can set up your campsite. With a little luck, you will sleep under more stars than you knew were in the sky and wake up to mountain ranges and sprawling dunes. While we covered six things you can do and see in the Mojave National Preserve, you will surely find more on your own. The preserve offers you as many adventures as you can conjure up. Just remember to open your mind to exploration, stay fully hydrated and have a great time.